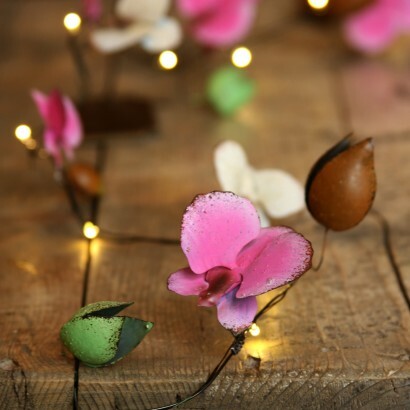 Hand crafted from metal and hand painted, these stunning orchid fairy lights are lit by warm white LEDs to add instant warmth to your home and garden. 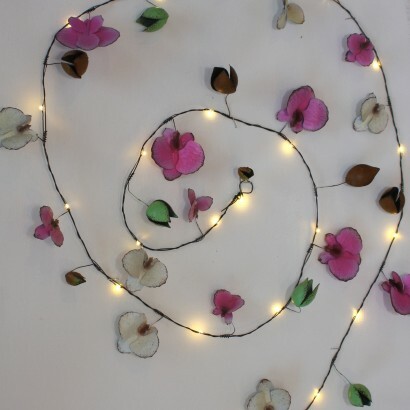 Beautiful pink and white orchids are set on a poseable wire to keep shape allowing you to place these pretty fairy lights anywhere and in specific shapes for dramatic effects. Battery operated and IP44 rated for outdoor use, these decorative orchid lights have a timer function too so that they switch on at the same time every night for six hours at a time.